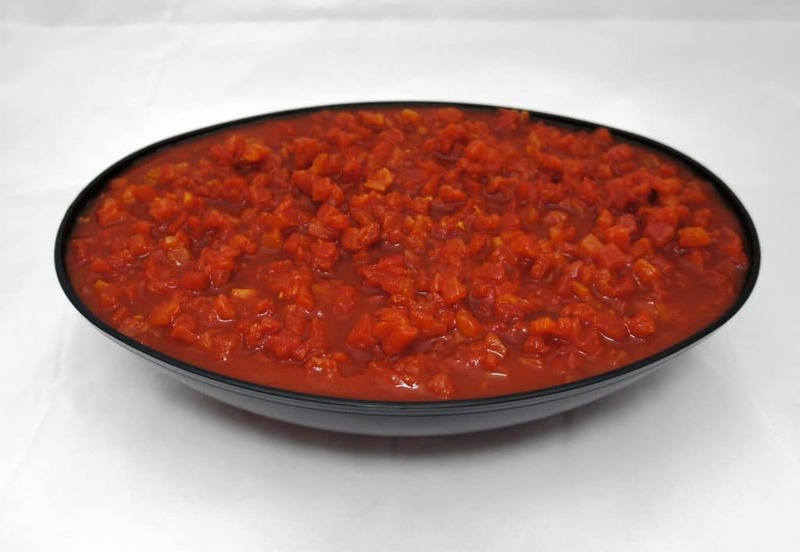 1/4″ Petite diced tomatoes in puree shall be prepared from tomatoes that have been washed, hand sorted for quality and peeled. Sea salt, citric acid, and calcium chloride are added. A rich topping puree made from fresh tomatoes is used as a packing medium. This unseasoned item is the perfect starter for homemade style salsas.